To be very honest, I wasn’t sure I’d like this book but found my hesitation quickly put to rest. Exodus, Book One in the Shadow of the Mountain Series is a great read that takes a real man from the Bible, Caleb, and tells his story with the author’s creative liberties. Caleb’s story isn’t widely known or one that we get into great depth when reading the bible. 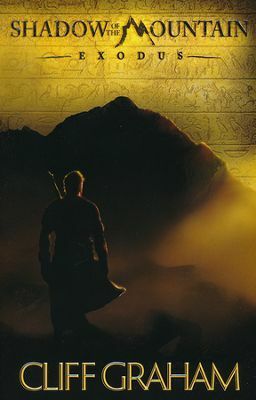 Exodus, Book One in the Shadow of the Mountain Series is an interesting account told from Caleb’s nephew, Othneil. I enjoyed drawing my own conclusions of the similarities during Caleb’s life. I especially enjoyed the way he served and sacrificed for his ‘leader/Lord’ as shown by his service as charioteer in Pharaoh’s Red Scorpion Regiment in the Egyptian army. Mr. Graham does a great job of describing the training that Caleb had to endure to become a member of the Red Scorpions. His descriptions were so good that at times, I felt like I was going through the training as well. The sacrifices he had to make, and the pain he had to endure to achieve the position, are honorable. I also liked that Caleb is protected by God without him even knowing it. The trials and treatment by the master instructors was intense, but gives you a sense of God’s mercy and protection. Caleb’s witness accounts of the plagues and the battles fought were intriguing. As a self-confessed, non-Egyptian, Caleb still lived the life of a hero Egyptian soldier. He was also a recipient of the Gold of Honor (an award) for saving Pharaoh’s life while under attack. The scene where Caleb “meets” the two Hebrews during the darkness plague is uplifting because of how Moses and Aaron accept him. As the plagues progress and Caleb witnesses the Angel of Death, he is drawn to become one with the Israelites and leaves his service to the Pharaoh. Caleb displays a humble attitude as he attempts to find comfort and friendship within the Israelites. When the Egyptian army is destroyed and Caleb is all alone while watching a family encampment, he decides to ask for mercy and requests permission to travel with them. Caleb shows humility and deferment to the husband by tossing his Gold of Honor plate deep into the sea. The husband says “we have nothing promised to us but our inheritance, we must go and fight for it, are you prepared?” (pg. 261) Caleb replies, “I am prepared…I will fight for whatever life your god delivers to me.” (pg. 261) To me, this is the best part of the book! The husband responds “If you are to win victories, he must become your God as well.” (pg. 261) How cool is that! He is our God, all we have to do is acknowledge that we are His! It turns out that Caleb was talking to and ends up becoming, life long friends with Joshua. The battles that he wages and the losses that Caleb suffers are mind numbing! Losing your wife and child during battle is beyond heartbreaking, but he maintains his faith. The leadership style that Caleb uses is similar to Jesus’ style, a servant leadership. This leadership style can pay huge dividends and is accomplished with an act as small as taking a shift on the perimeter that motivates those under him. Exodus, Book One in the Shadow of the Mountain Series is a very good read and I would recommend this to anyone that likes fictional biblical battles. I received this book from the Book Club Network and Bethany House Publishers in exchange for my honest opinion which I’ve provided here.